Signature style is a concept which focuses on the individuality of all Coes customers. Coes customers were invited to take part in our photoshoot, they chose outfits they love and fit with their own style from the rails at Coes and arrive in the studio ready to be photographed. No hair and make up - just as they walk in. We capture the character, confidence and individuality of every customer we photograph. We engage with them, we listen to them and we snap away while they are lost in conversation. We don’t photoshop our models. We will not change a person’s shape, size, proportion, colour, or otherwise alter individual features. We think Real is beautiful! Thank you to Felicity, Stuart, Dean, Ashley and Leila for taking part in the campaign. Signature Style is an ongoing campaign for Coes and will feature male and female customers of all different sizes, ages and ethnicities. Coes encourage their customers to invest in quality and longevity and create a timeless sense of ‘Signature Style’ of their own. If you are a customer of Coes and have your own Signature Style and are interested in taking part in future photoshoots please contact Amy at @Coes_online or us directly. The campaign will appear in advertising, on website, on social, in window displays and in-store. 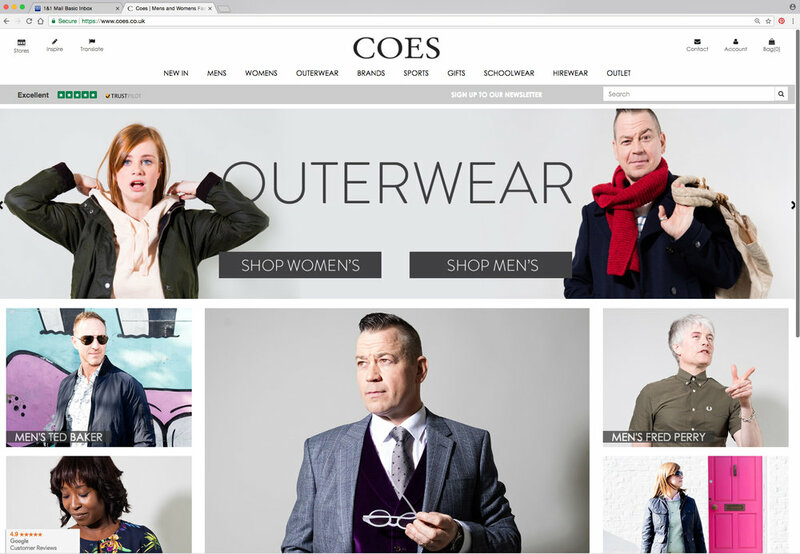 All outfits are available to buy from Coes. Older PostMatspace Barefoot Studio, Framlingham.